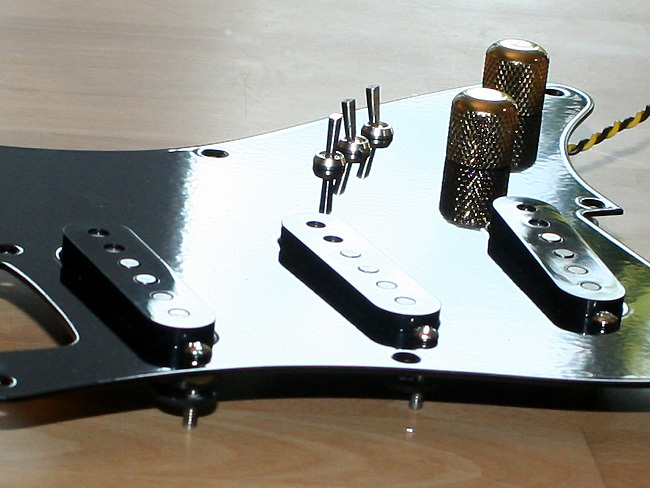 The loaded Strat pickguards in the vintage Schecter style have been available in brass and white aluminium for a while now, but from now on they are also available in black aluminium. 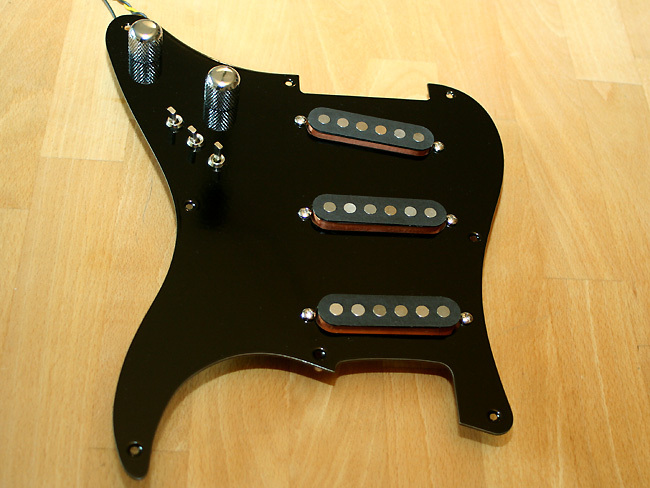 You can chose between two versions: with the VFS-1 or the F500T-style pickups. As both are tapped pickups (two different sounds for each pickup), you will get 26 different pickup combinations and thus 26 different sounds. The black ones are otherwise identical to the white version and have the same burnt-in enamel coating , the same high-quality toggle switches, the same extended-life quality potis, and of course the same sound. You can choose between three different metal knobs: chrome, gold, or black. The price is the same as for the white ones. ⟵Tone King Imperial: Played on which songs? 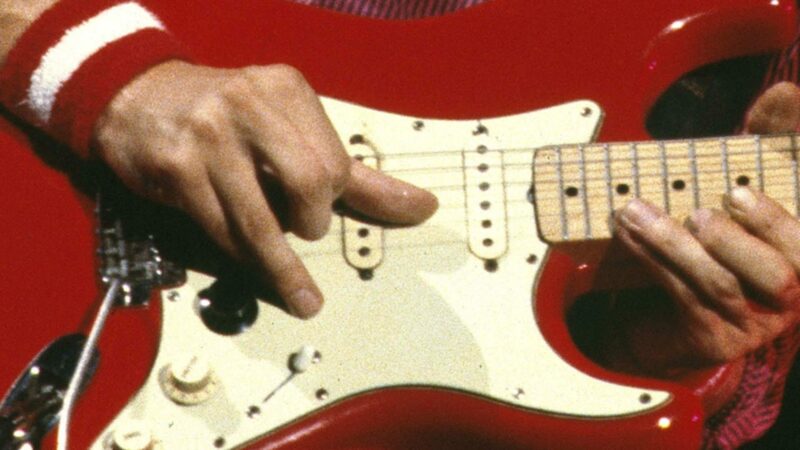 I’m a big fan of your work on this site and I was wondering whether you would be able to post a video + blog post about Knopfler’s brilliant leady rhythm playing on Skateaway.